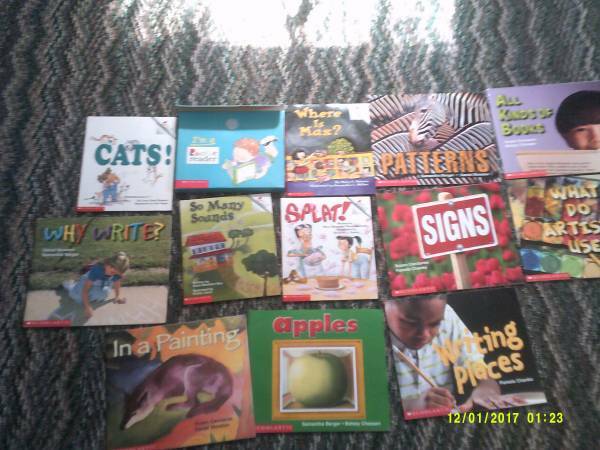 This Learning Center Collection includes How A Seed Grows (not pictured), What Do Artists Use?, All Kinds of Books, Why Write?, In a Painting, Apples, Writing Places, Signs and Patterns. As well as a Rookie Reader Collection of books that includes Where is Max?, Splat, So Many Sounds and Cats all in their own little box. All of these stories are sure to please any child. Cash and Carry only.